Even the world’s best divorce attorney from just fifty years ago would be entirely lost in a California courtroom today. The courtroom doesn’t look that different, but the law – especially in the realm of divorce and family law – has changed substantially in just half-a-century. If you are seeking a divorce or anticipating a divorce in southern California, you must be represented by an attorney who strives to stay up-to-date and current, and not only with the laws themselves, but also with the ways that lawyers now assist their clients. You’ll need the advice and services of a knowledgeable and experienced Orange County arbitration lawyer with the Bayati Law Group. In the state of California, spouses who are seeking to divorce have a number of legal alternatives to the traditional courtroom-centered divorce proceeding. Some of those options are relatively new, but they can still help spouses reach a resolution. The alternatives include legal separation, annulment, collaborative divorce, mediated divorce, and arbitration. If the choice you make is divorce, you should seriously consider the arbitration option. An experienced Orange County divorce attorney with the Bayati Law Group can explain arbitration in detail and help you through the divorce arbitration process. 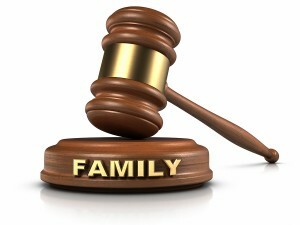 In family law disputes such as divorce, arbitration has become a popular and effective alternative to the courtroom. Arbitration allows two divorcing spouses to settle their divorce-related disputes quickly and without the cost and burden of a courtroom trial. If you are involved in or anticipating a divorce in southern California, and if you believe that the disputes in your divorce can be settled through the arbitration process, you should arrange at once to discuss arbitration and your other options with an experienced Orange County arbitration lawyer at the Bayati Law Group. Divorcing spouses who want to avoid expensive litigation are more frequently choosing an arbitration proceeding for a number of reasons. Arbitration is often considered to be superior to a traditional divorce because an experienced divorce arbitrator can usually resolve a divorce and the related financial issues in far less time than a judge. If both spouses agree in advance to accept arbitration, the arbitrator’s decisions are final. If you decide on arbitration, the first step is choosing an arbitrator with experience. In California, most divorce arbitrators are either practicing attorneys or retired judges, so they have the proper education and are quite familiar with the law. These arbitrators are typically paid by on an hourly basis. Your own divorce lawyer and your spouse’s divorce attorney already know experienced dissolution arbitrators, and they will probably be able to agree on someone who would be appropriate for your case. If the two sides cannot agree on a particular individual to serve as the arbitrator, each side then chooses its own arbitrator, and the two arbitrators themselves then agree upon and choose a presiding arbitrator. That person then sets a date when documents will be due and arbitration will begin. WHAT ARE THE ADVANTAGES OF DIVORCE ARBITRATION? The arbitration process gives divorcing spouses three important advantages over a courtroom-centered divorce trial: speed, control, and privacy. With an experienced divorce arbitrator. your divorce documents will be signed and filed with the court in just weeks as opposed to months. For those with tax considerations, arbitration also gives you greater control over the timing of your divorce. Arbitration additionally gives you control over and access to all of your divorce documents. At any time, you can contact the people handling your documents and find out the status of both your dissolution and your legal documents. In the traditional court system, once documents are submitted to the court clerk, there is no access to the documents until they are returned to you. Arbitration gives the divorcing spouses full control and full access. Courtroom trials are a matter of public record. In a courtroom divorce trial, you and your spouse lose your privacy, so your family’s private details – including personal information about your children and your finances – become available to anyone and everyone who cares to access the public record. Arbitration, on the other hand, keeps your private business private. and your family’s details are kept out of the public record. Arbitration also provides both spouses with all of the “time and space” they genuinely need to settle a dispute. Spouses are given the time to present all of the evidence necessary to the arbitrator. Thus, the arbitrator’s final ruling is based on the full set of facts, and the decision is not rushed to fit into a court’s busy schedule. This is important in complicated divorces where a large number of details must be closely scrutinized, and it’s also important when people simply want to get the matter decided and over with without spending unnecessary thousands of dollars in the public courts. This means that you can save more of your estate for your family and yourself. The actual arbitration procedure resembles a courtroom trial, but it’s somewhat less formal, which allows the process to move a bit faster. Arguments are made by both sides’ attorneys, evidence is presented, and witnesses may be examined and cross-examined. Based on the evidence and the testimony, the arbitrator then decides on the final terms of the divorce. If both spouses have agreed in advance to accept arbitration, the arbitrator’s decisions are final. The Bayati Law Group represents divorcing clients in arbitration proceedings, and if necessary, in court as well. Our attorneys will use all legal tools and resources to achieve the best possible outcome for your case. Whether you need immediate legal advice and representation from an experienced Orange County divorce attorney, or if you simply need legal counsel and guidance for the future, we are available to discuss your various legal options for divorce, including arbitration. Every Bayati Law Group client and prospective client is treated with complete respect and is extended every possible professional courtesy. Every client phone call and email is returned promptly. You can schedule an appointment today to speak with an experienced Orange County arbitration lawyer at the Bayati Law Group offices by calling (949) 798-5700. Or, you can complete the online form on the contact page of this website, where you can also find a map with directions to our office located in the city of Newport Beach. Before you make any final decision regarding a divorce, be certain that you fully understand all of the ramifications and all of your legal options. The Bayati Law Group represents clients in Orange County and throughout southern California in divorce proceedings and in all matters concerning family law.